I just celebrated my birthday in January. It was a month long affair, with dear friends and family showering me with gifts, well wishes, and of course tons of cake . I really felt happy and blessed to have so many amazing people in my life and I would like to give something back. I have a cake recipe that is so simple to make, so tasty and very forgiving so it’s almost impossible to mess up. This almond tea cake is delicious and beautiful and perfect for any occasion. I have used it for afternoon tea, baby showers, dinner parties, and since it takes almost no time to prepare, have even made it on the spot for unexpected guests. 2. Mix in eggs, one at a time. 3. Add flour, salt, almond extract and mix well. 6. Bake at 350F for 25-30 minutes, or check center with toothpick for doneness. 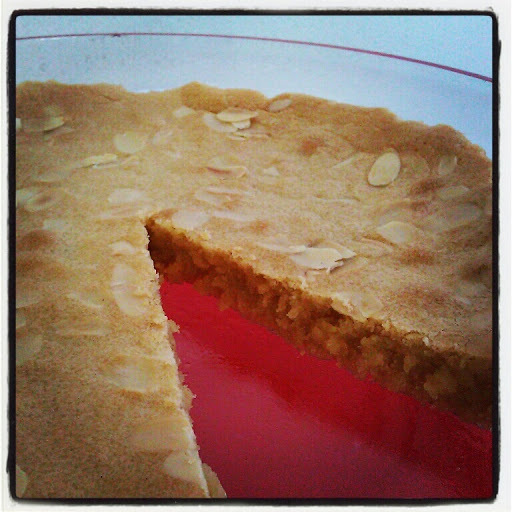 This entry was posted in Desserts, Quick Dishes, Vegetarian and tagged Almond Tea Cake, easy, quick, Vegetarian by thepantrydiva. Bookmark the permalink.